Razer have announced that the Nommo Pro speakers are available to purchase in Australia, exclusively from Razer.com. The Nommo Pro speakers are engineered for gaming, featuring positional audio that helps gamers accurately identify the location of key sounds in games. The speakers feature THX certification, two independent silk dome tweeters mounted atop Dupont Kevlar coated speakers with 3-inch drivers and an independent 7-inch cylindrical downward firing subwoofer. The speakers also include a desktop dial-shaped control pod for easy access to volume controls and power, and audio customisation of bass level, EQ and lighting via Razer Synapse or the Nommo Pro App. 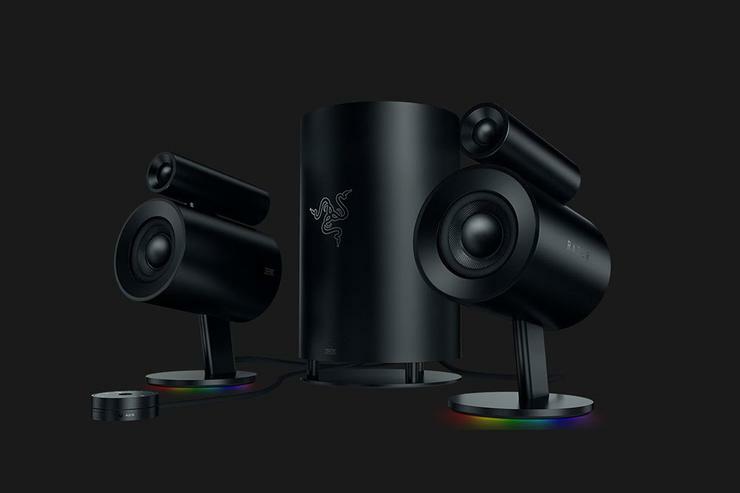 The speakers are available from razer.com for $849.95. For more information, visit https://www2.razer.com/au-en/gaming-audio/razer-nommo-pro.